Liverpool Cathedral has launched a photography competition based around the theme of ‘inspiring places’ in the city. So why not improve your skils with one of our photography courses or membership to our photography videos section? 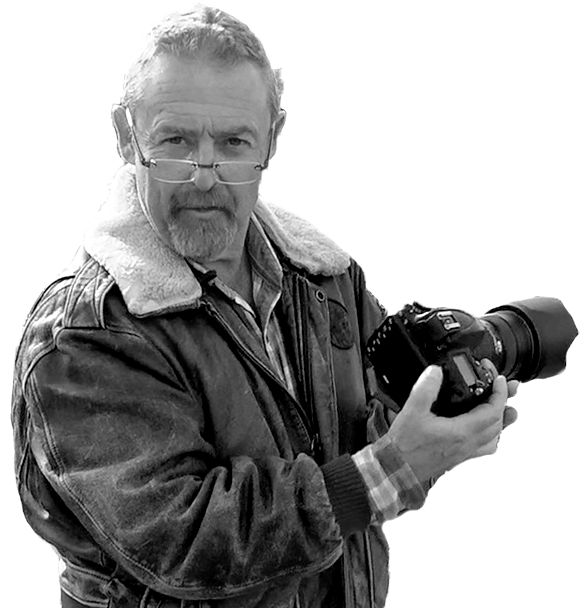 Photographer Mike McCartney will lead a panel of judges in selecting the winning shots. There are three categories in the competition - In the Hope Street Area, In the City Centre and At the Everyman. The Everyman Playhouse is set to be renovated, and to coincide with the photography competition, photographers are being invited to bring their cameras along to free tours of the theatre to capture it prior to modernisation. 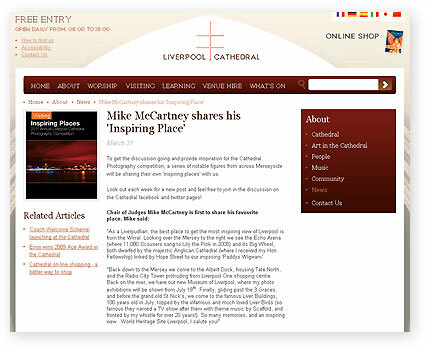 To get photographers’ creative juices flowing, Liverpool Cathedral has promised to use its Twitter and Facebook feeds to post a new ‘inspiring place’ each week, chosen by notable Liverpudlians. All entries to the competition will be displayed at the Catherdral between the 15-18 September. Judges will choose their overall winners and the public will also be invited to pick their People’s Winner. Prizes include a hotel stay, theatre tickets, meals, photography courses, tours and vouchers for photography equipment.